Excellent in every way and a beautiful house. Thank you for a really enjoyable stay – so welcoming and perfect in everyway. Such a beautiful house – I didn't want to leave. We felt we were in a Jane Austin novel. Very lovely hosts and we can't wait to visit again. 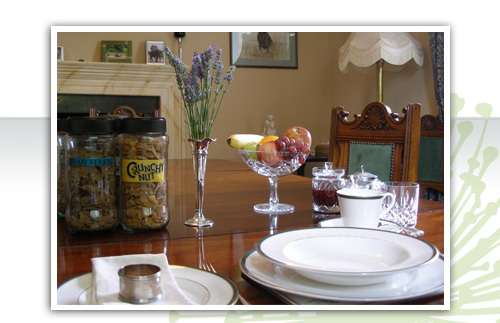 Excellent B & B – very generous hospitality once again and very convivial company. A most enjoyable five days - highly entertaining – lots of laughs – superb. Cycling from John O'Groats to Lands End – a wonderful stay in a fascinating house..........the best.